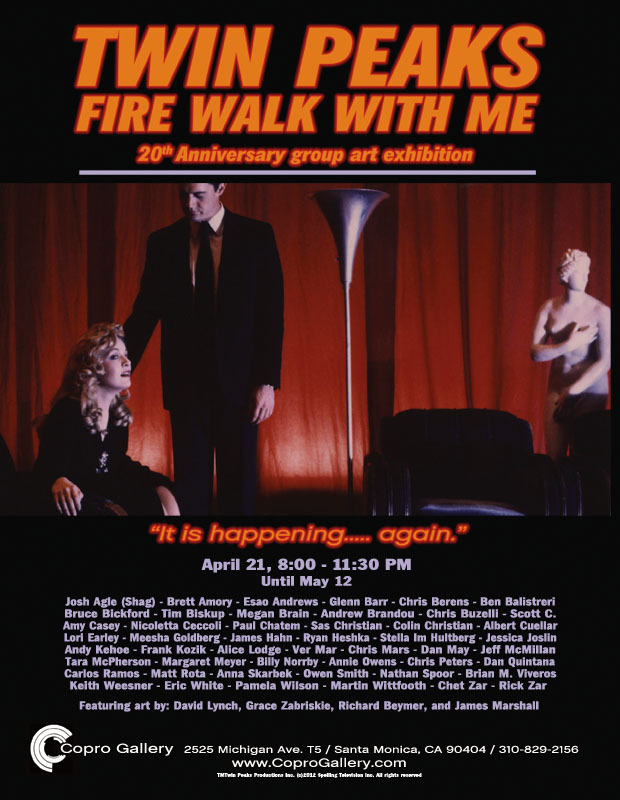 CoproGallery in Santa Monica, California is hosting Twin Peaks: Fire Walk With Me, a group exhibition featuring Twin Peaks-themed art for the television show’s 20th anniversary. 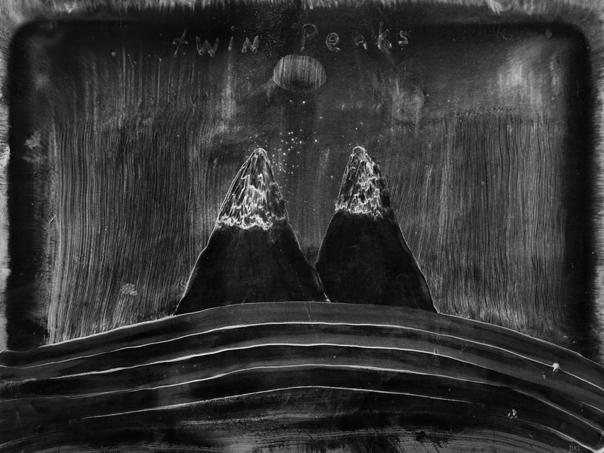 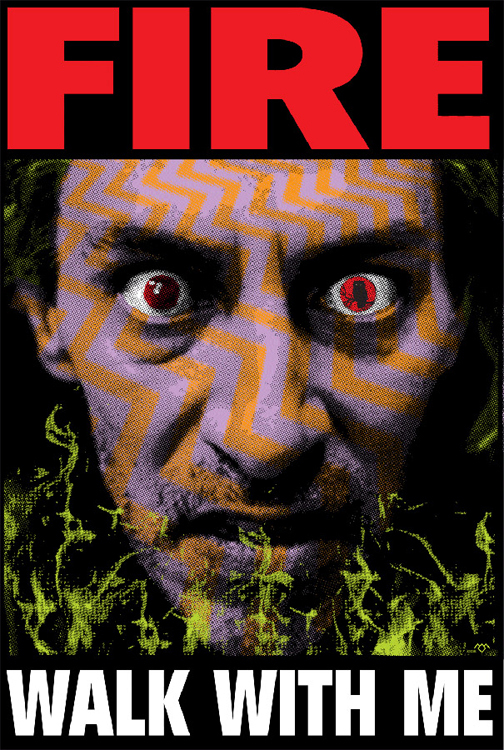 CoproGallery has posted a preview gallery of the show which includes giclee art prints by Twin Peaks’ own David Lynch. 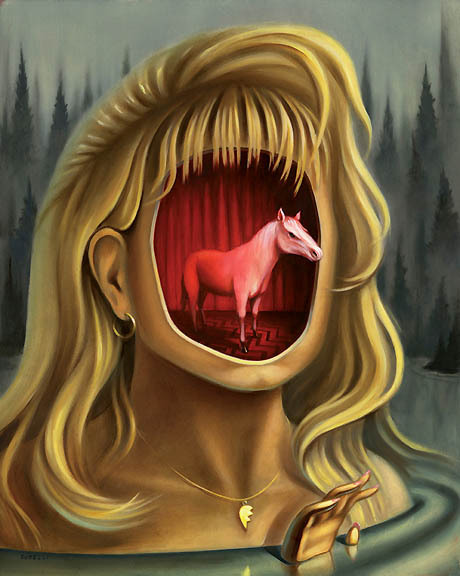 The opening reception is April 21, 2012 from 8 PM to 11:30 PM and the show runs through May 12, 2012.